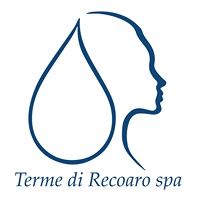 The hydrological wealth of Recoaro appears singular in virtue of the quantity and variety of its mineral waters. Due to the special geological characteristics of the subsoil, the minerals of which these waters appropriate in their underground run, determine at the source different kinds of water even for springs that are only a few meters apart. Common feature of all waters of Recoaro is their alkalinity determined by the considerable content of hydrocarbon ion. Because of this property they are classified within the bicarbonate waters. A first distinction of these springs can be made according to the overall quantity of minerals they contain. The mineral water Lora, can be considered a medicinal water, with specific indications for kidney stones and syndromes with hyperuricemia (fixed residue at 180 ° lower than 0.200 g / l). It causes a significant increase in urine output and is highly effective in the prevention and treatment of urinary calculi and its recurrence. Lelia, particularly iron rich, useful in all the cases in which an additional contribution of the metal is required (generally iron-deficiency anaemias). Lorgna for the digestive pathologies, particularly suggested in gastritis and non calculosis gallbladder disease and generally in the so-called hepato-biliary dyspepsia (bad digestion) resulting from prior hepatitis or otherwise from deficit of bilious secretions. Amara, for its additional content of magnesium sulphate is used in cases of chronic constipation, as well as inflammatory bowel disease. Nuova has the exact same qualities as Lorgna.